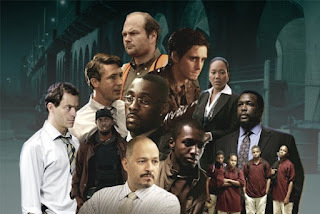 Ten years ago today, The Wire began airing on HBO. The series never got high ratings but won immense critical acclaim, and thanks to support from HBO's top brass it lasted for five seasons and sixty episodes, despite a high budget (by the end of the third season, the series budget had reached $50 million a season). Since the show ended in 2008 its popularity has only increased, with more than 1 million DVD box sets sold in the UK alone. 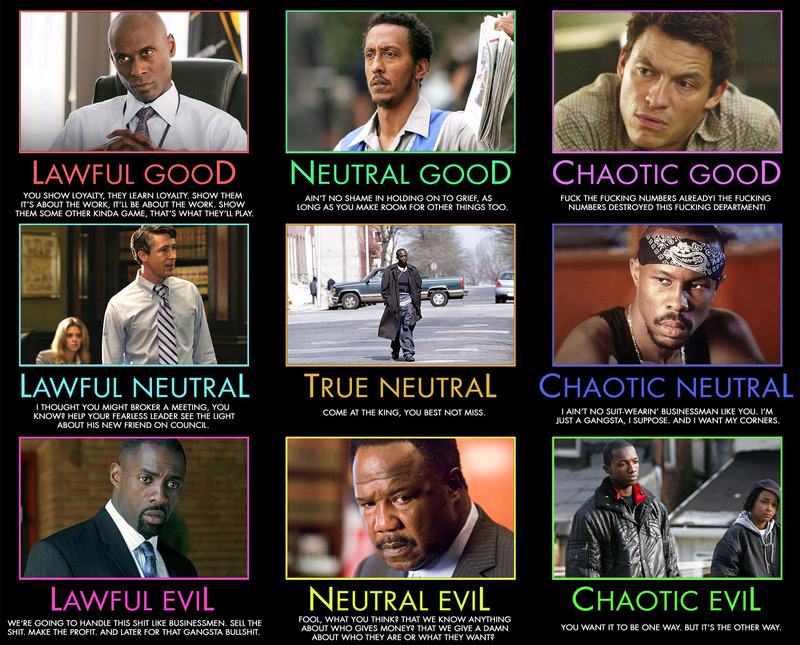 A (very) small number of The Wire's major characters. The reasons for The Wire's success are fairly straightforward: excellent writing based on real police procedures and investigative techniques; strong and memorable characters; and a thorough exploration of the systems and institutions of the modern American city, both legal and criminal. It also had a biting, black sense of humour. The show also never pulled its punches. If a storyline required the death of a long-running major character, they would die. There was no filler and even minor, almost glossed-over details could turn into major revelatory plot moments several episodes later. The show also changed its focus every season to retain a degree of invention and freshness each year, whilst retaining a core cast of characters. Ultimately the show's message was that life goes on and the systems meant to help people rarely do so, sometimes making things worse, and that even the most well-meaning reformer will inevitably get trapped by the system and their ambitions quashed. Despite this cynical message, the show also showed that people will go on and live their lives the best they can, despite and often in spite of their circumstances. All in the (fantasy roleplaying) game. Via Literatigamereviews and created by Mighty Godking. As part of the 10th anniversary celebrations, Maxim has an excellent article here featuring contributions from several of the writers and actors who worked on the show. Well worth a look. 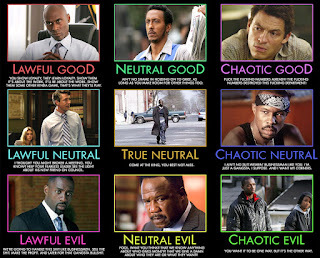 Also, I'm saying, Omar is definitely chaotic. No doubt. Just a quick comment here: those D&D alignment charts should properly be credited to Christopher Bird of http://mightygodking.com . He didn't create every single one of them, but he did do this one, and the basic idea is his. He's always having them linked to throughout the web and rarely gets credit, I know it's not your fault because the site you've linked to hasn't bothered to credit him, but Chris is a friend so I'm always trying to make sure he gets his due. I haven't seen TREME yet. I currently have 6 full seasons of various shows on backlog to watch, so I don't think I'll get to TREME any time soon.